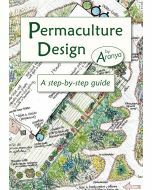 A guide to applying permaculture to all aspects of your life. From food and growing, to harvesting and storing water, you can create a more self-reliant and satisfying lifestyle. But what proven tools are available to aid making a successful, deliberate transition to a resilient, sustainable future? 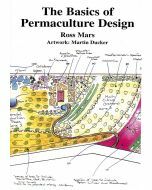 This guide is packed with information on permaculture design principles, soil building, nutrient-dense food growing, including top plant and tree selections for all climatic zones. Coverage extends to rainwater harvesting and irrigation, human waste management and strategies for rural properties, plus a unique focus on applying permaculture to small urban spaces for decluttering and efficient food growing. Also covered are hand tools, food preserving, energy production and low-carbon housing, and a plethora of nearly forgotten skills such as soap making, basket weaving, seed saving, and rope and candle making, and more.